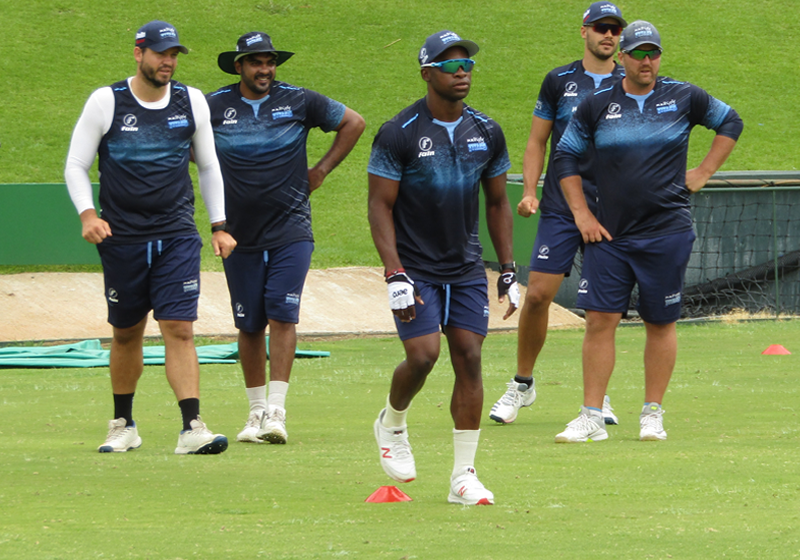 The Multiply Titans embark on their chance of domestic success this season, as they begin their Momentum One-Day Cup Challenge against the VKB Knights, tomorrow at SuperSport Park. The Sky Blues have endured the toughest of seasons, with a poor showing in the Four-Day Franchise Series, and a spate of injuries to key players throughout. They have also watched on as other franchises have improved significantly, and taken the game to them. Now, after a period of contemplation, Mark Boucher and his men have rolled up their sleeves and resolved to go again. They have had the toughest of weeks in the gym and in the nets, and that has galvanised the charges. Coupled with the boost of several, big players being available again, the Titans feel that they have a point to prove in the 50-over competition. At the peak of their powers, this was a tournament that they dominated, with standout performances from the likes of Aiden Markram and Farhaan Behardien. While Markram is away with the Test side, Behardien is in the mix, and looking to serve a reminder of his abilities as a finisher and a run gatherer in the middle overs. Around him, there is also a lot of experience in the Henry Davids, Heino Kuhn and the all-round skills of Chris Morris. The lanky Morris showed glimpses of his prowess in the recently completed T20 series against Pakistan, and he remains a potent player with bat and ball. The Titans can also call upon the fast bowling of Lungi Ngidi, who is back from a 12-week lay-off. Now recovered from a knee injury suffered in Australia, Ngidi is using the 50-over competition to get back up to speed, with the World Cup approaching. He will be joined by Junior Dala, Eldred Hawken and Tshepo Moreki in the pace options, as the Titans have most of their top players available again. Given the strength in depth and experience, this may well be the competition that reignites the Titans season, as they look to start their white-ball on a high. Full Multiply Titans squad to face VKB Knights (from): Heinrich Klaasen, Tony de Zorzi, Jonathan Vandiar, Henry Davids, Heino Kuhn, Chris Morris, Grant Thomson, Farhaan Behardien, Tshepo Moreki, Junior Dala, Shaun von Berg, Eldred Hawken, Lungi Ngidi.